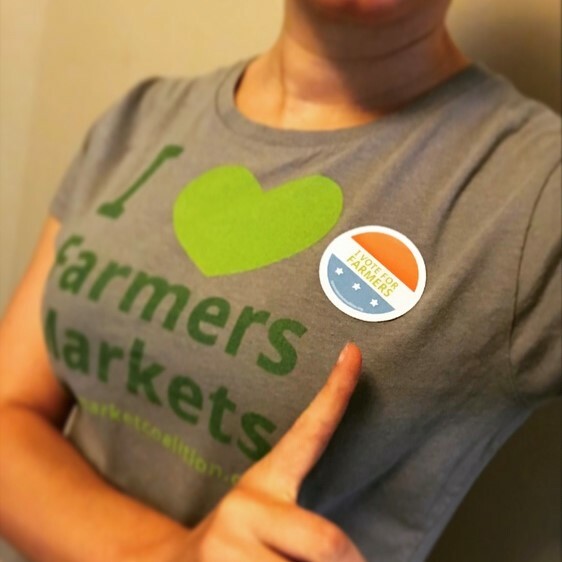 Food is political! 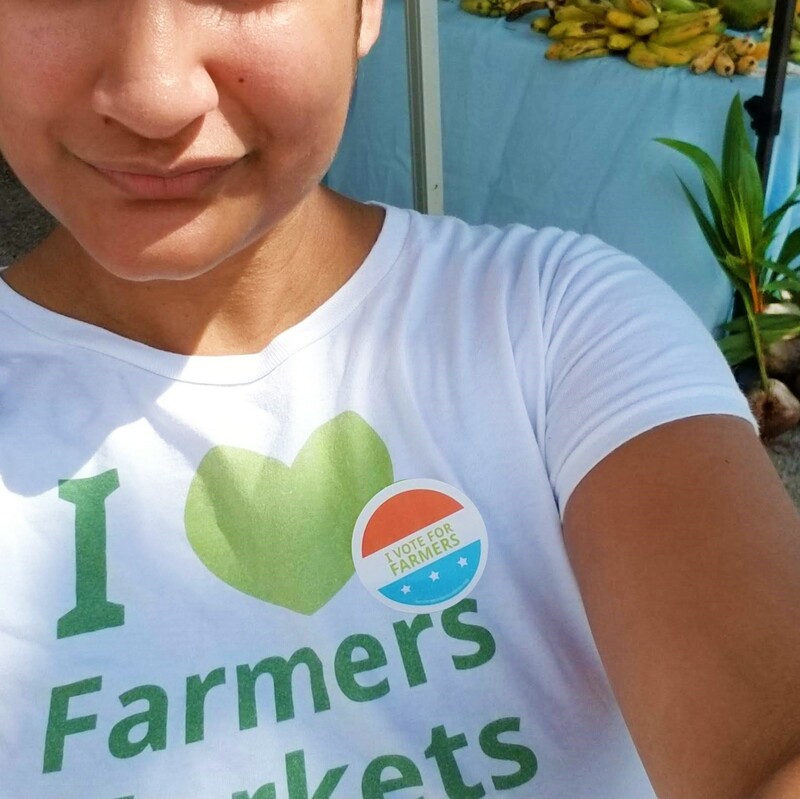 You already show your support for farmers at the market, don't forget to show it at the polls as well. 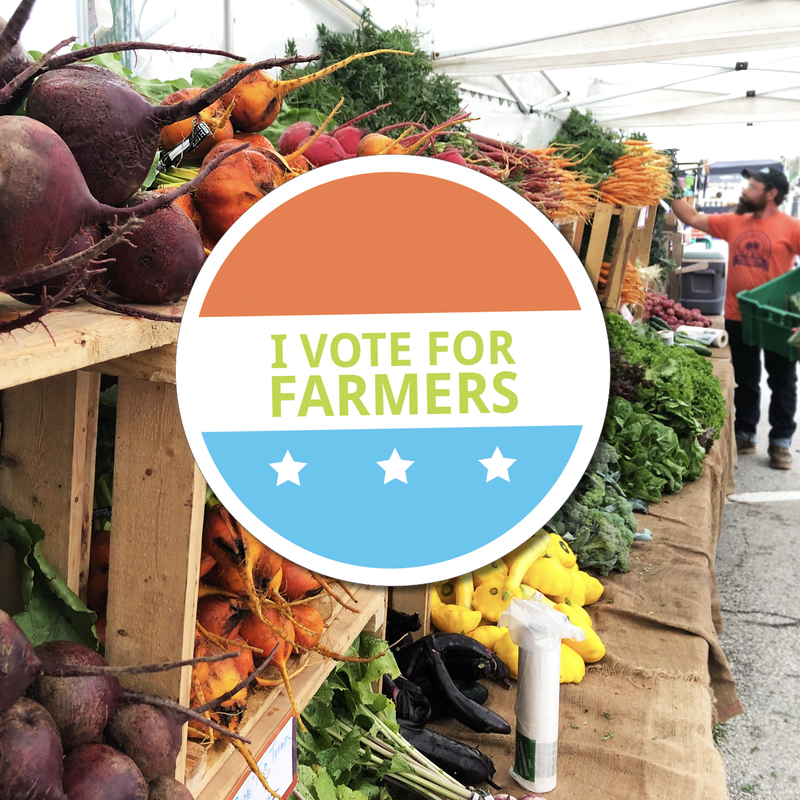 FMC works hard to advocate for farmers on a federal, state, and local level — change only happens when we make our voices heard. 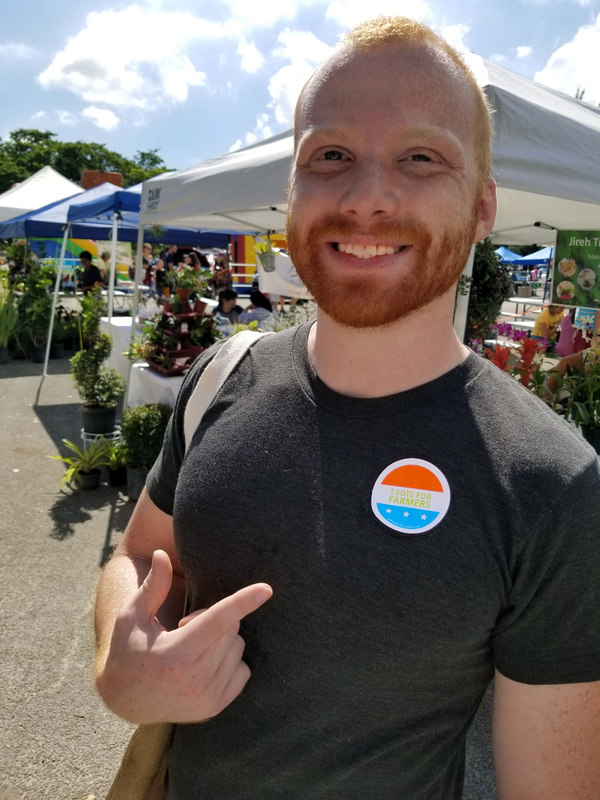 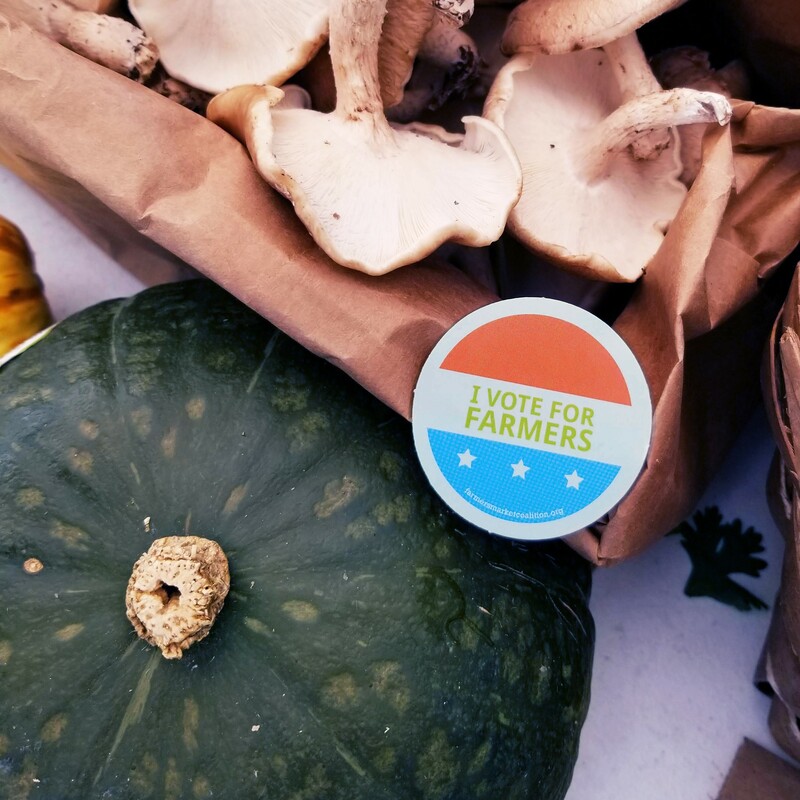 These 2 inch round stickers are a great way to bring public attention to local elections, visits from legislators, and civic issues surrounding local food.